Introduction: There are countless manufacturers in the fishing tackle industry selling soft plastic baits. Many of these baits are barely distinguishable from one another, many more are unique. 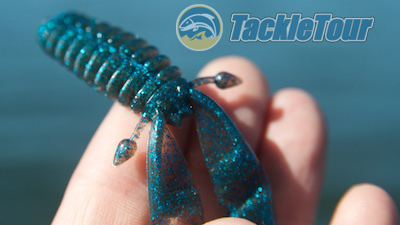 One bait profile that continues to be reinvented is the craw-creature trailer style baits. One company, new to us, debuted their take on this staple early in 2016. 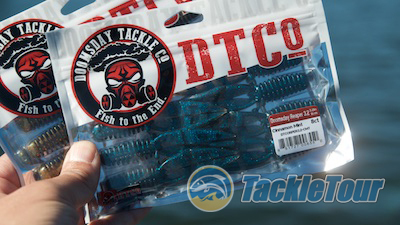 Here now is our take on Doomsday Tackle's Reaper trailer bait. 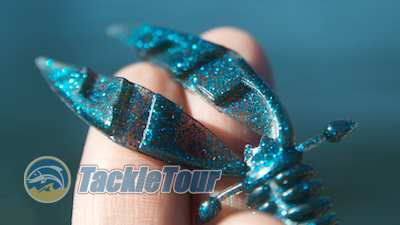 Sizes 3 1/4" & 3 3/4"
Introducing Doomsday Tackle Company's Reaper 3.2. 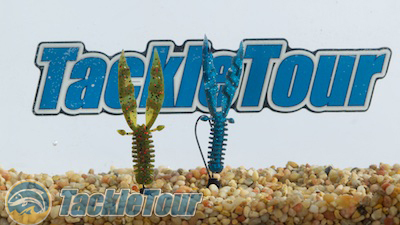 Impressions: The Doomsday Tackle Company Reaper comes in two sizes - 3 1/4" and 3 3/4". 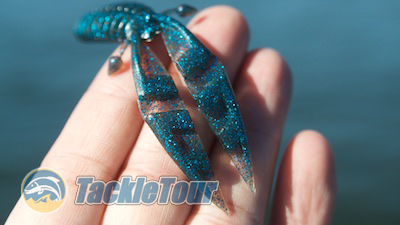 We only fished the 3 1/4" bait referenced by the manufacturer as the Reaper 3.2. These baits come in a re-sealable plastic bag of 8 baits. The Reaper is a traditional trailer type bait. The bait's silhouette is of a typical trailer type bait with a main body section set off by two appendages attached to the end of one side. The Reaper then has two additional stubs that come off at the base of the claws out to the side of the bait. The bait's body is ribbed. 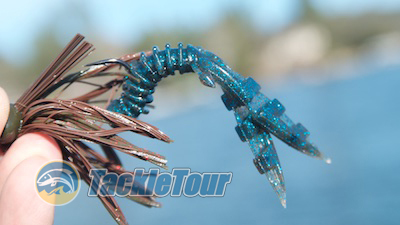 What's interesting about this bait is the main body section is ribbed and the baits claws have channels in them all of which serves to give the bait a little added interest and movement when in the water. Its claws have channels too. Performance: I fished this bait off and on over the course of the last year to try and get a feel for its effectiveness and durability. My primary mode of fishing the bait, of course, was as a trailer tipped on the end of my jig or a bare shakey head. Threaded on to the shank of the jig hook. Underwater, the bait exhibited really good buoyancy.